This guest post is written by Justin Borg-Barthet, who lectures in EU Law and Private International Law at the University of Aberdeen. He is the author of The Governing Law of Companies in EU Law (Bloomsbury/Hart 2012) and several publications concerning choice of law in the European Union. 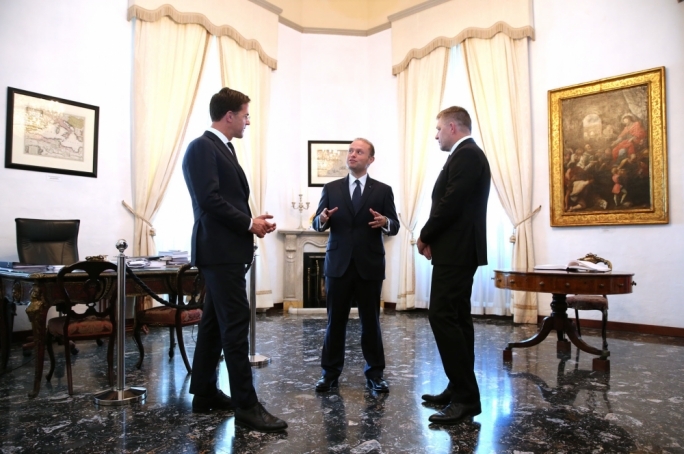 The ongoing corruption scandals in Malta make for fantastic political reading. No doubt, there will be plenty of tut-tutting and chest-beating in every household. We all, after all, enjoy signalling our own virtue by pointing to its lack in others. But the ill-begotten gains of those in power are not only about virtue or otherwise. Corruption orchestrated from, and protected by, the seat of power will have grave repercussions for the bottom line of every family in Malta – because ‘brand Malta’ matters. When companies choose the location of their business, they take into account fairly obvious matters such as start-up costs, fiscal implications, and access to markets. The modernisation of Maltese company law in the 1990s, the reform of fiscal legislation post-2000, and accession to the European Union in 2004 tick each of these boxes. Corporate and fiscal legislation are liberal, and access to a market of 500 million people is guaranteed. Promoters of companies will equally consider the availability of professional services. Investment in tertiary education since the late 1980s has ensured that legal and accounting services are readily available to assist prospective investors, and to ensure that they remain in good stead. All of the above makes Malta an attractive destination, but it is not enough. Businesses also like to signal virtue; and they do so because it affects their ability to do business. Credit is not readily extended to those who are deemed untrustworthy. Consumers do not readily purchase goods and services from those who appear deceitful. Being and appearing virtuous basically makes good business sense. When a company is established in Malta, it adopts ‘Malta’ as part of its identity. ‘Malta’ appears on its letterheads, websites and corporate branding. This affects perception of the business. If Malta is considered to be a corrupt jurisdiction, a choice of incorporation and establishment in Malta is a choice to be associated with corruption. Essentially, the perception of the country is extended to those who base themselves there. It follows that perceptions of corruption could undo much of the economic progress achieved through legal reforms introduced over the past 30 years. The flight of businesses and the drying up of investment will, no doubt, affect economic performance. This is of direct relevance to those employed in the financial services sector, and those presently pursuing further education and hoping to be so employed over the coming years. But it is fairly clear that the fallout does not stop there. A lawyer in financial difficulty will not spend money in restaurants; restaurants won’t need as many chefs and waiters. An unemployed accountant will not purchase a new car; car salesmen will lose out too. An underpaid IT specialist will not overstretch when purchasing property, or when furnishing it; those who depend on the property and retail market will also feel the pinch. And so on and so forth. This is especially relevant as the United Kingdom begins the process of withdrawal from the European Union. The united front in dealings with the UK masks intense competition between the EU-27 to attract businesses seeking guaranteed passporting rights in the EU. Member States are busy marketing themselves as the best refuge for flight from Brexit Britain. Malta has already lost out to Luxembourg, partly because Hiscox chose to be associated with Luxembourg’s “well-respected regulator”. It appears that Brand Malta is now perceived as lacking a well-respected regulator. Make no mistake that keeping the present course will mean repeats of the Hiscoxes of this world choosing jurisdictions other than Malta. It may also mean flight from Malta of businesses currently established there. The need to introduce robust reforms and to send signals of good governance is both essential and urgent. Because virtue matters, and must be seen to matter.